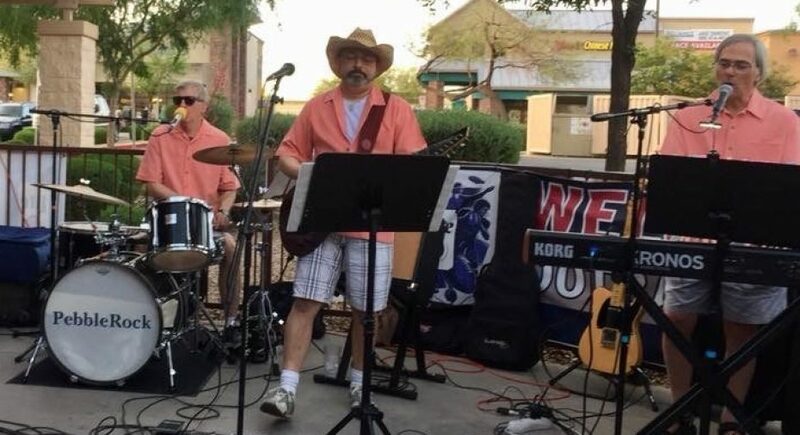 Pebble Rock is a classic rock band out of Goodyear, AZ. We are all residents of the Phoenix area and three of us are residents of the Pebble Creek Community in Goodyear, AZ. We’ve been waiting years and years to have this much fun, through school, a life time of work, marriage, kids, and some of us grand kids. I’m so sorry I missed the show….I have heard nothing but rave reviews about this band!! A absolute favorite for sure! When and where will you play next? Forget this blog…time for your band to have a real website! Congrats on a great show! I heard you on satellite radio this morning. You were calling from England.